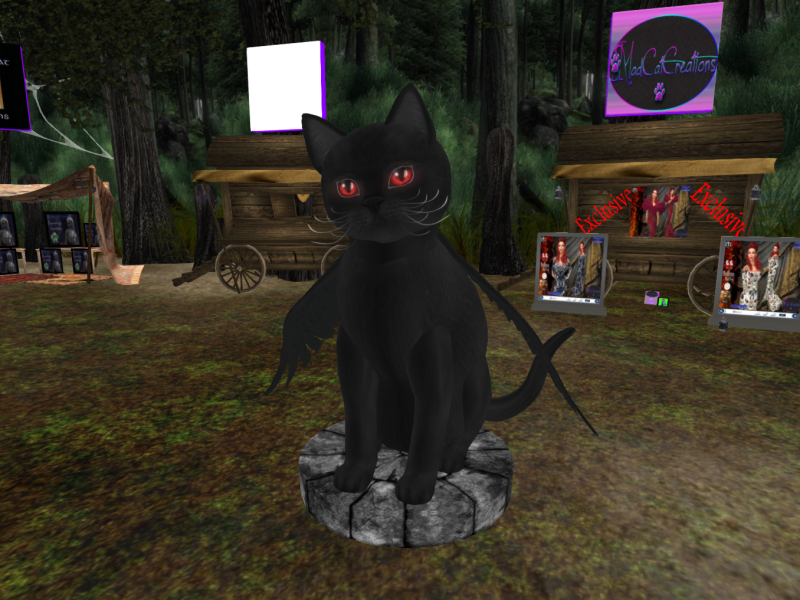 KittyCatS has a FREE gift available to the community at Lovecraft Festival! The 7th Annual Lovecraft Festival looms, scheduled for August 17-27, celebrating H.P. Lovecraft’s 128th birthday, as always, with something exciting, entertaining, and unique for all. KittyCatS is pleased to be a part of this event, especially since "Fuzzbutt" Fardoragh, LoveFest Host, Street Patrol and Mascot, is a KittyCat! Our gift at Lovecraft Festival is a "Cat of Ulthar" shoulder pet! This gift will be available at Lovecraft Festival when it opens on August 17 at 8pm SLT. Inspired by Lovecraft's short story "The Cats of Ulthar" your new shoulder friend is eager to answer all of your questions about the past, present, and future! Tempt the fates and discover your fortune...if you dare! Grab your free gift at the Gypsy Wagon Market, and don't forget to visit the rest of Lovecraft Festival while you're there! This was so fun. Thank you!